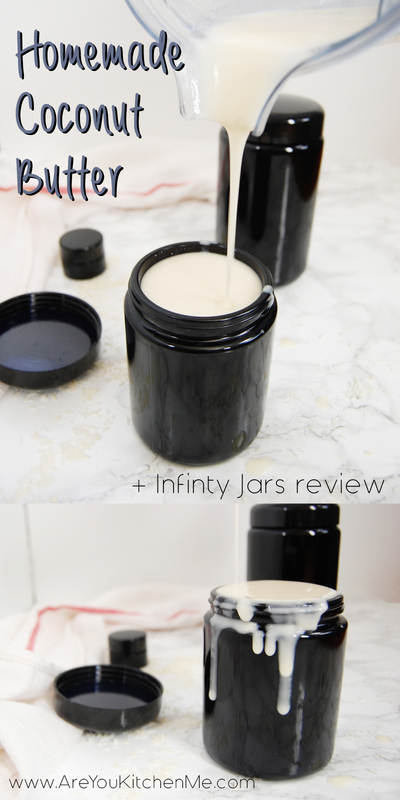 Homemade Coconut Butter + Infinity Jar Review - Are You Kitchen Me?! A decadent treat, made with a single ingredient in under 5 minutes, Homemade Coconut Butter is a luxury you can totally afford. 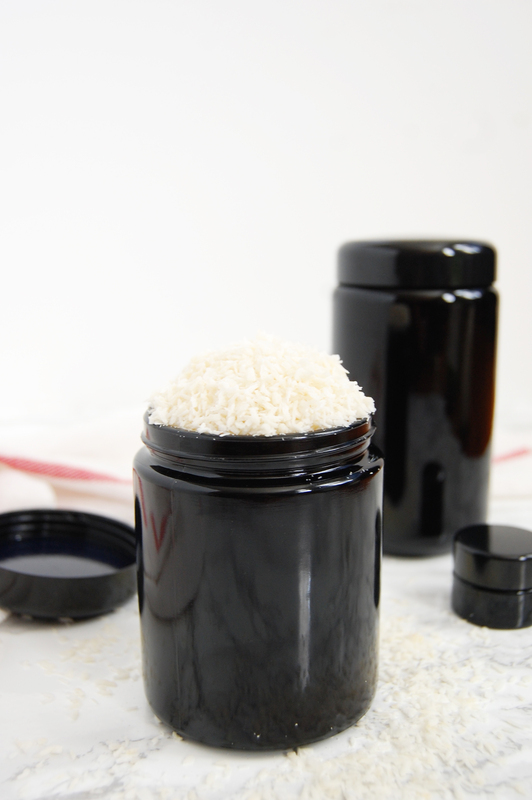 And when stored in Infinity Jars, you can enjoy the silky goodness for a lifetime! Peanut butter and almond butter are like the cool cheerleaders who seem to be having all the fun in the trendy high school spotlight. 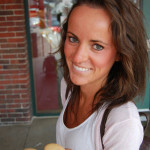 Everyone loves them, their tan color turns heads, and Instagram is splatted with selfies with them. I feel it’s my responsibility to introduce you to the pale, shy bookworm in the corner with a LOT to offer. Coconut butter is the best kept nut butter secret. I also think “coconut butter” is confusing. Is it butter? Is it coconut? Is it coconut oil? 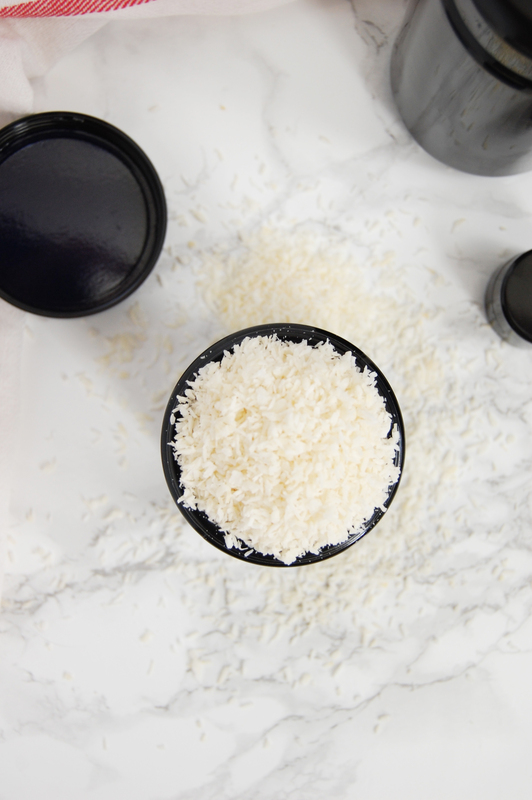 I went over the different kinds of coconut products a while ago in this post, but to make life easy, a quick analogy: coconut is to coconut butter as peanuts are to peanut butter. 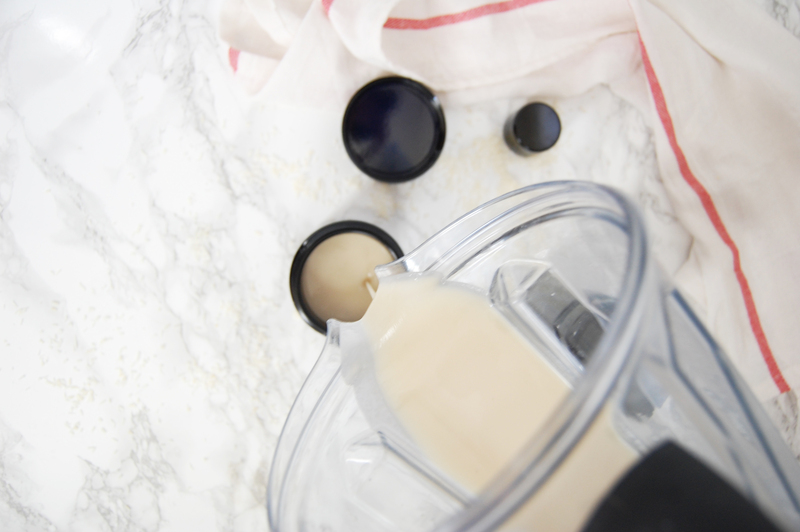 One ingredient blended to creamy perfection. Step one: acquire coconut. Step two: blend coconut until perfectly smooth. Step three: devour. Add a dollop to everything!! Allow me to introduce you to your new jar obsession. Readers: Infinity Jars, Infinity Jars: readers. Infinity? Forever, unending, enduring, lasting… As in the quality of whatever you store in these jars. 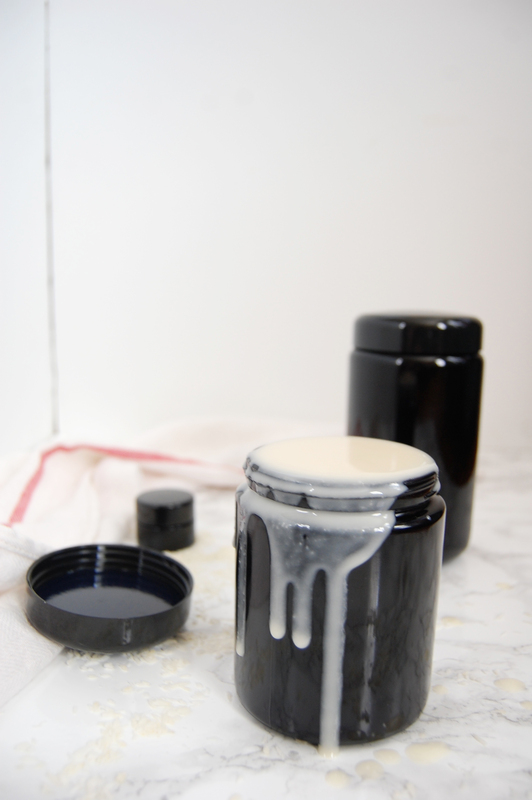 Infinity Jars are crafted from a pigmented glass that is thicker and stronger than typical glass jars. It is also impermeable by smells and blocks harmful UV light while allowing certain infrared beams. Basically, it’s the best food storage solution for keeping foods fresh for months! The craziest evidence of this is their “tomato test”. They put a cherry tomato in both a traditional jar and their unique glass jars and didn’t peak for 7 months. The results? After 7 months, the tomato in the clear jar was molded and shriveled. The Infinity Jar tomato was red, firm, and juicy. WHAT?! While I haven’t had these peculiar glass jars long enough to test them for 7 months, I can tell you that they have a great air-tight seal. Oh, and they are SO cool looking! I wasn’t sure how they’d fit in with my extensive collection of clear glass jars but I’m looking forward to filling my shelves with more of the black beauties. 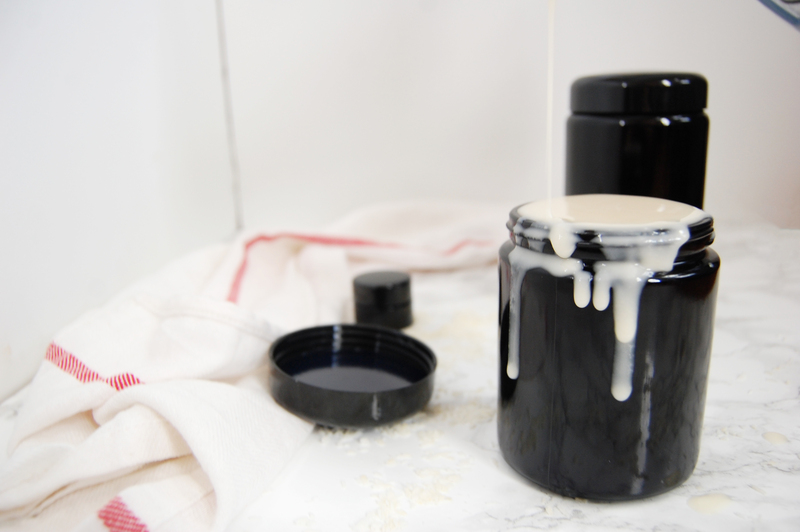 Coconut butter’s pure white drizzle looks heavenly up against the shelf life-enhancing Infinity Jar so do yourself a favor and snag both ASAP! A decadent treat, made with a single ingredient in under 5 minutes, Homemade Coconut Butter is luxury you can afford! 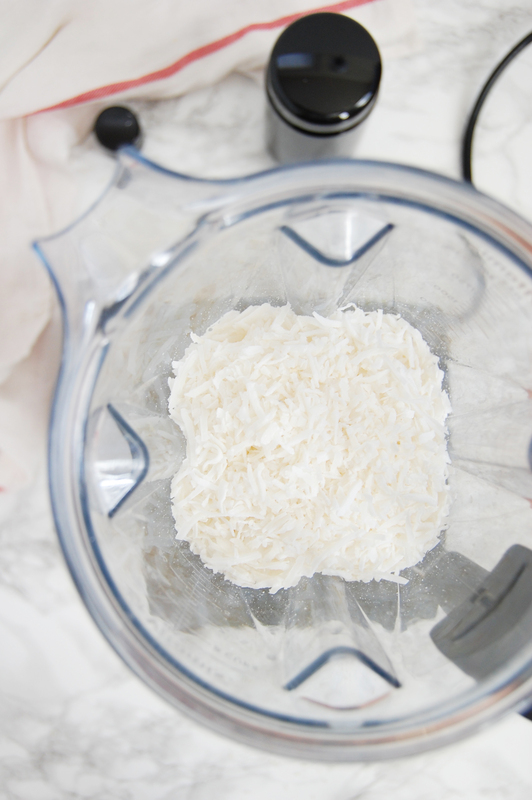 Add the shredded coconut to a high-powered blender or food processor- I used my Vitamix. Start processing on low speed and increase until the machine is running at full power. Let the processer run until the mixture is completely smooth. In my Vitamix this takes about 3 minutes, in a food processor it could take 10-15 (seriously!). You may have to stop to scrape down the sides occasionally, I did not. Immediately pour into jar and store at room temperature. 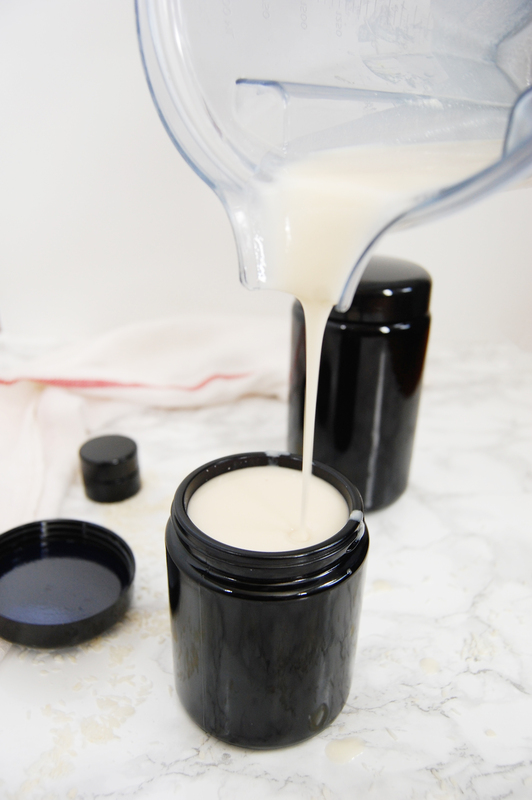 I was provided with products to review for this post, but please note that all opinions are my own and I would never share a product I didn’t actually love!